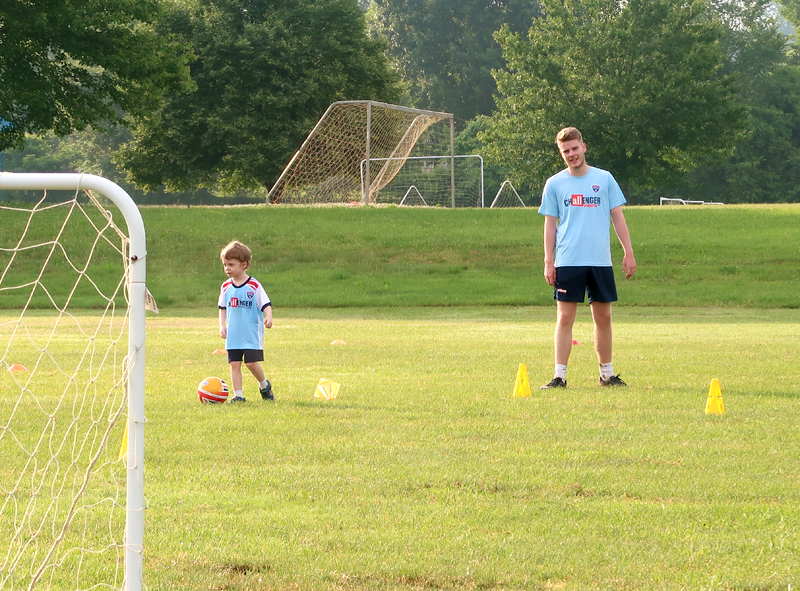 A couple of weeks ago, Jasper attended his first soccer camp! 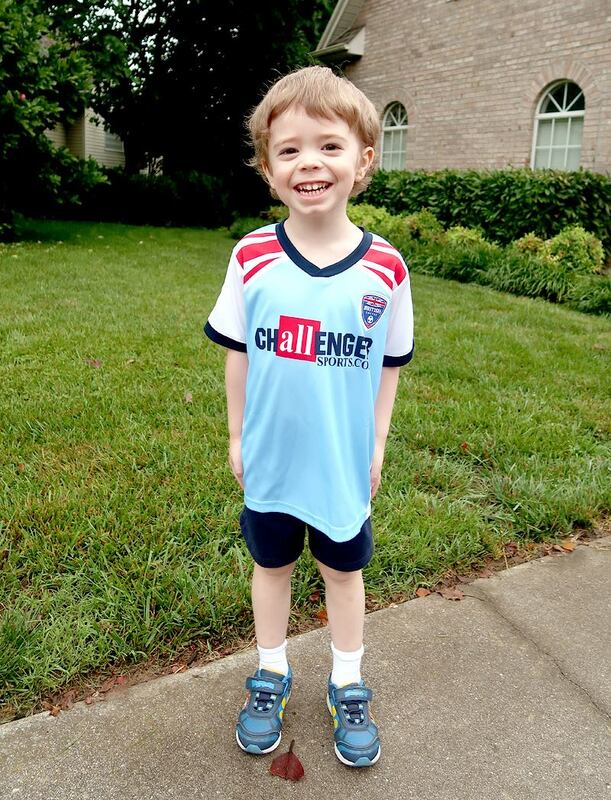 We signed him up for a 5-day British Soccer Camp through Challenger Sports. There are many camps available all across the nation for ages 3-14 so any kid at any skill level can find an appropriate camp. 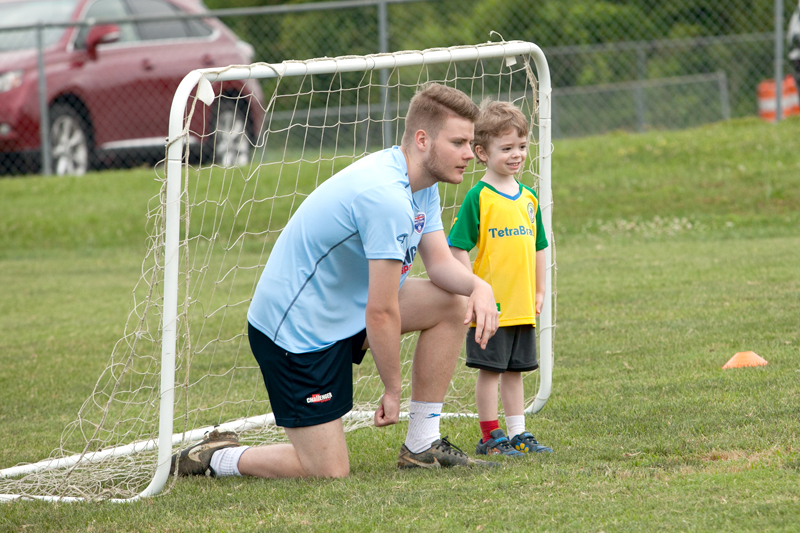 The Mini Soccer Camp is for ages 3-5 and runs for one hour each day. Jasper is 3 years old and was the youngest camper and the only 3 year-old in his group. 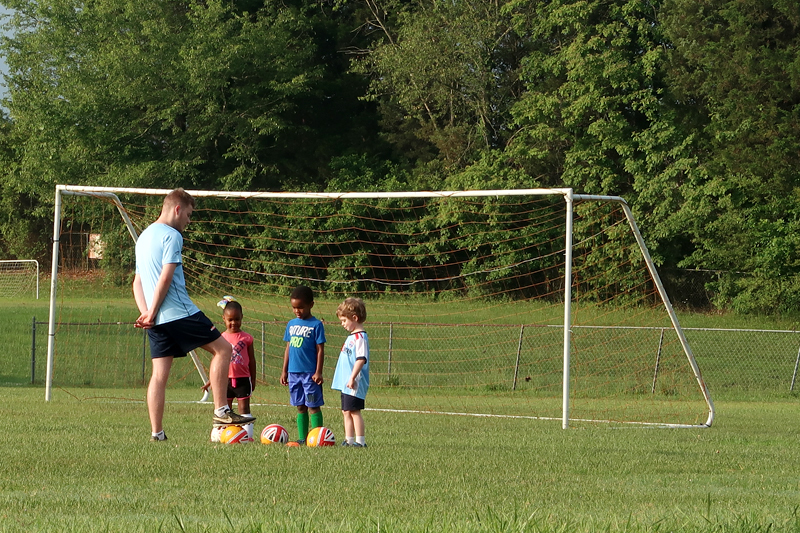 For the Mini Soccer Camps, no special equipment or apparel is required. 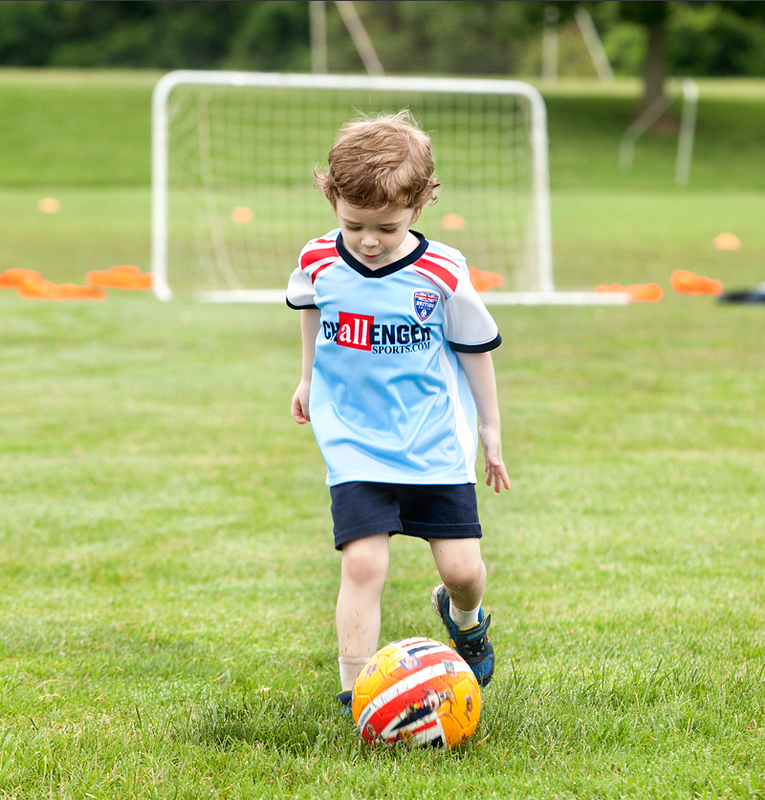 Special Offer: Use code BSC18 when signing your child up for a soccer camp this summer to get a FREE game jersey shipped to you, plus access to an app and a soccer ball, t-shirt, and poster given out at camp! Click here to find a camp in your area. On the first day, each child was given a soccer ball that is theirs to keep. This particular camp session only had 4 kids. I thought the small group was amazing because it gave the kids a chance for lots of one-on-one interaction with the coaches. l Each day began with a little socialization and chit-chat to help the kids get comfortable with each other while they waited for all of the campers to arrive. The mini camp started bright and early at 8am, before the heat of the day sets in. I was grateful for the early start since little ones are much less tolerant of the summer heat! 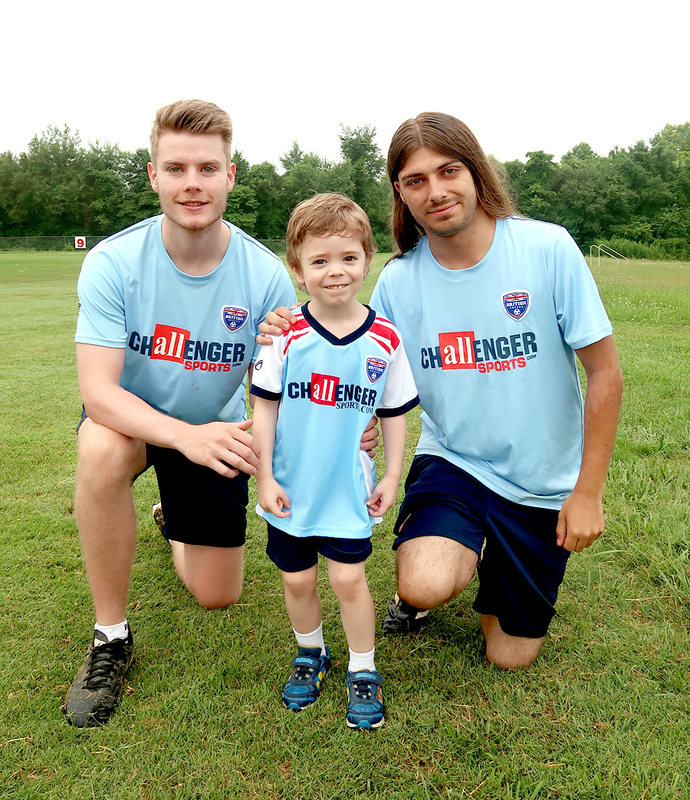 Jasper adored his British coaches, Coach Louie and Coach Joe. Jasper is an outgoing, social, and spirited little kid (I think they gave us the wrong baby when we took him home, haha!) and while those are wonderful personality features to have, they come with challenges as well. Louie and Joe were amazing with all of the campers and especially with helping keep Jasper focused and on task. The group worked on the most basic soccer skills such as not touching the ball with your hands, keeping your head up while running with the ball, scoring goals, and passing. 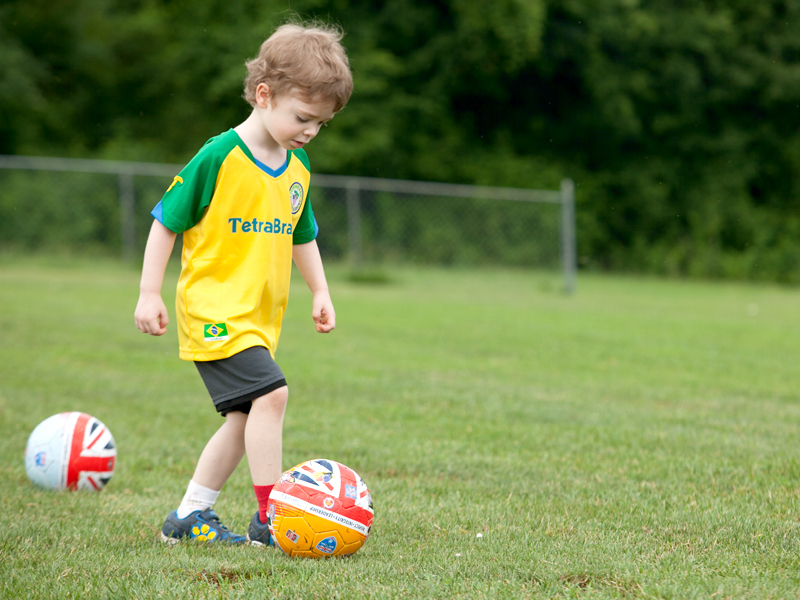 The skills were taught in creative ways, such as running with the ball around the field knocking over yellow cones, searching for Nemo and Dory toys hiding underneath. Classic group games such as "What Time Is It, Mr. Fox?" were slightly altered to include a soccer ball. The game was wonderful for teaching ball skills along with listening and being part of a team. Jasper loved being Mr. Fox! On the second day the kids were encouraged to go home and decorate their soccer balls. Jasper got really, really excited about this. I pulled out a bunch of sticker sheets I had lying around and he went to town. He couldn't wait to show Coach Louie and Coach Joe his ball! Another favorite game involved one of the coaches pretending to be a dragon guarding treasure (flags strewn about on the ground) The kids use their balls to slowly creep up on the dragon while he sleeps in an attempt to steal treasure, but when he wakes up they have to freeze and stop their ball with one foot. 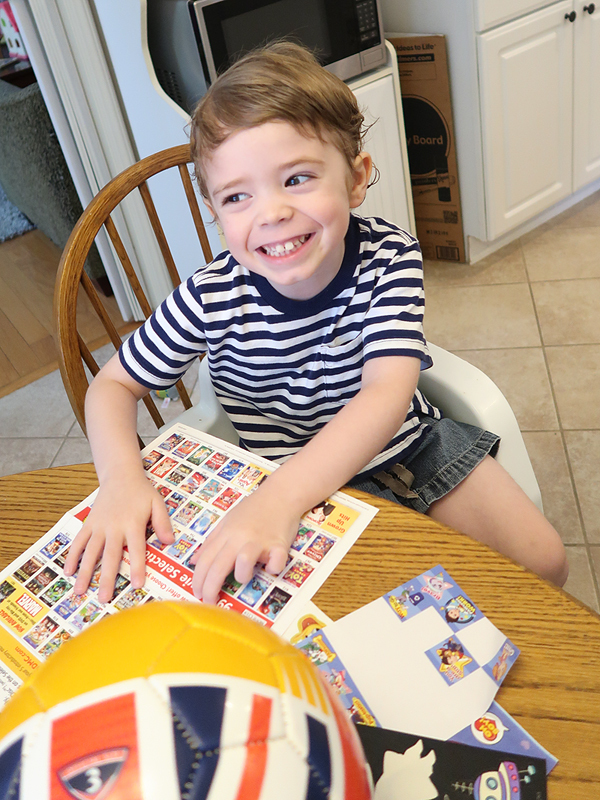 Many of the same games were repeated each day, allowing the kids to practice their new skills. Jasper had a blast and looked forward to getting up each morning and playing with his new friends. I'm thrilled that Jasper was able to have this experience - it was so good for him and he had an amazing time. We will 100% be signing him up for the same camp next year! There are still plenty of camp sessions going on every week for the rest of the summer all across the nation. 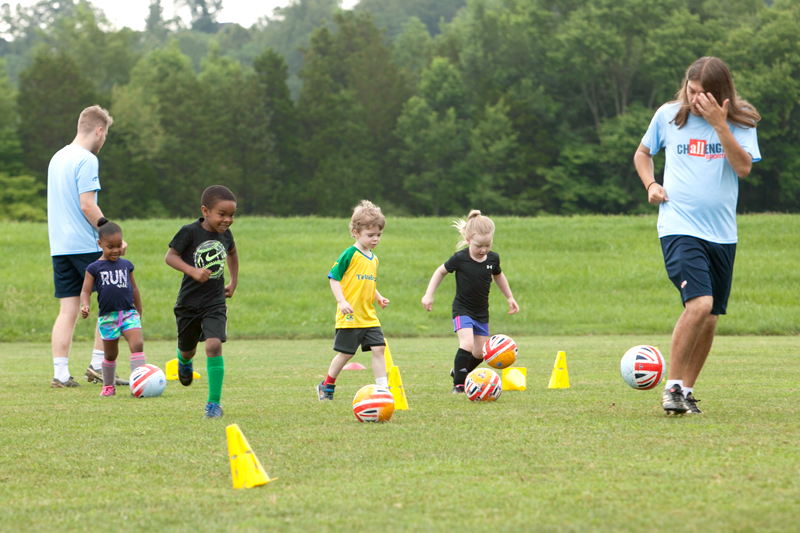 Don't forget to use code BSC18 when signing your child up for a soccer camp this summer to get a FREE game jersey shipped to you, plus access to an app and a soccer ball, t-shirt, and poster given out at camp! Click here to find a camp in your area. 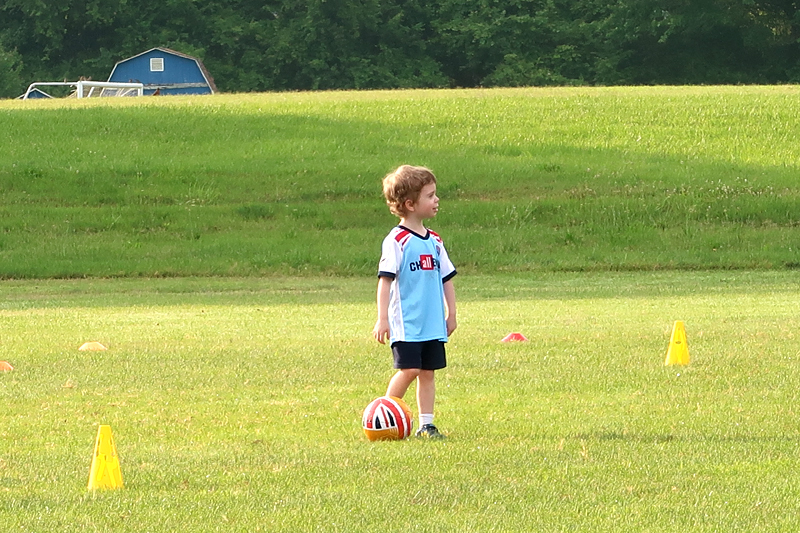 We were given free enrollment in a soccer camp session in return for our honest review. Our reviews are always honest and you can trust that we'll tell you if we experience any issues with the products or services that we review.